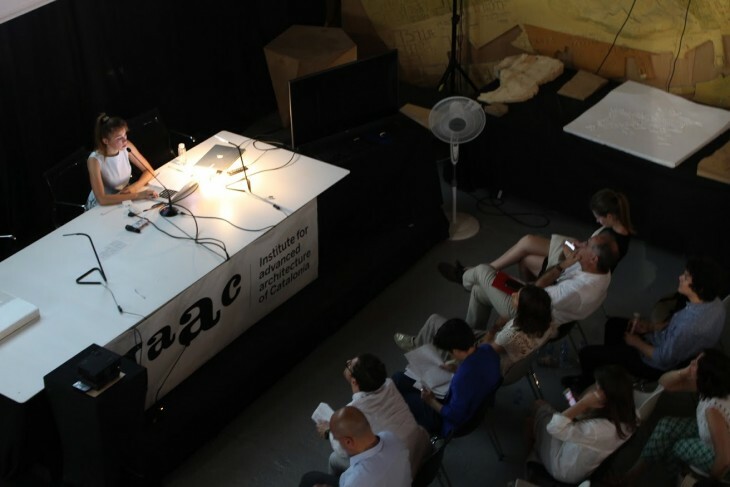 On the 27th and 28th of June we had the MAA Individual Thesis Final Presentations at IAAC and Corretger5 Gallery. 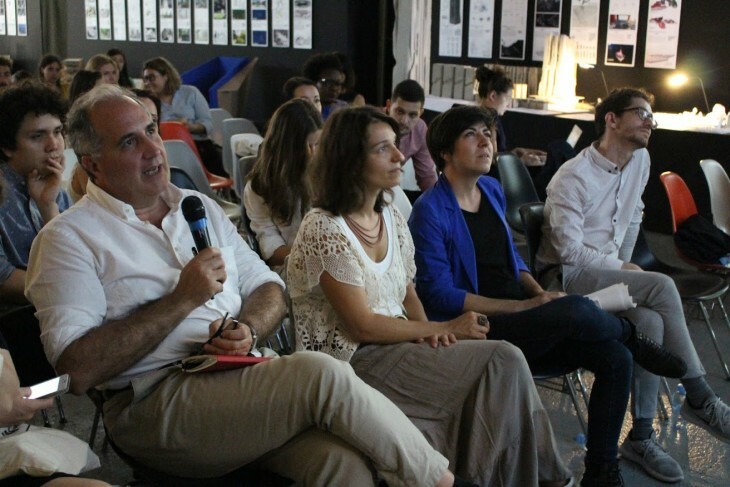 The jury panel included international guests like Fanny Lopez (École d’Architecture de la Ville et des Territoires, MLV), Daniel Lopez-Perez (University of San Diego), Gisela Domenech (GDS Arquitectura), Izaskun Chinchilla (Izaskun Chinchilla Architects), Elena Rocchi (Herberger Institute for Design and the Arts), Manuel Kretzer (Materiability Research Network), Beatriz Minguez de Molina (Architect & Vidoartist) as well as IAAC members Areti Markopoulou (Academic Director), Mathilde Marengo (Academic Coordinator), Silvia Brandi (Communications Director), Maria Kuptsova (MAA02 Coordinator), Rodrigo Rubio (Margen Lab & IAAC Senior Faculty) Jonathan Minchin (Green FabLab Coordinator) and Maite Bravo (IAAC Urban Sciences Lab & Theory Advisor). The two-day presentation was divided into 5 sessions, each linked to thesis projects developed under one of the Individual Thesis Supervisors: Marcos Cruz, Areti Markopoulou, Vicente Guallart, Manuel Gausa, Jordi Pagès and Lluís Viu. Homogeneous Flux – by Philip Serif – applies the fractal theory to refugee camps in order to enhance experience and emotional rehabilitation. Snglrty – by Yasmin Hamza – redefines interaction between spectator and performer by blurring borders and creating infinite experiences. The Mercurial Landscape – by Raissa Paz Pertierra – proposes an erosion-control and water catchment system for landscape mitigation and remediation. Concrete Anachronism – by Edgard Navarrete Sanchez – explores bio-deterioration, proposing a performative element allowing bacteria incubation. Atmosphera – by Asya Guney – is a temperature landscape, an interactive, invisible garden experienceable only through the touch. Re-Rig – by Joel Kahn – converts oil rigs into wild-fishing farms, conceived as light-security prisons for detainee’s reeducation. Hydra Kianda – by Rossana Graça – addresses urban development imbalances and the lack of quality of life of Luanda’s Slum dwellers. Rayon – by Maria Alexandra Polyakova – converts an ex-soviet district into a sustainable community, creating a green border for productive ecology. Holistic Archipelago – by Ksenia Dyusembaeva – is a grid of micro-productive units, base of a new distributed economy for the city of Mirny. Modeling Future Mobility – by Zachary Trattner – is an app showing how autonomous transportation could affect and shape the cities of tomorrow. 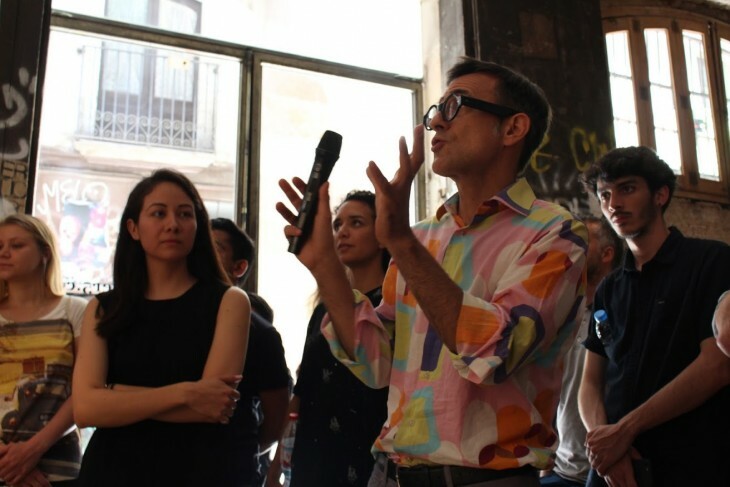 The Autonomy Project – by Juan Diego Ramirez – envisions the morphological development of a city through its productive diversification. Dynamic Cityscape – by Luisa Roth – is a floating, sustainable urban cluster adapting to the predictable changes of the environment. Info Structure – by Borislav Schalev – is a self-sufficient data centre infrastructure, using hydrogen to generate the electricity it needs. Informal – by Luis Angello Coarite Asencio – aims to redefine Jicamarca’s informal buildings and public space to recreate a new, fluid topography. Hydro Purification Hub – by Wilton Machado Neves – is an energy-saving, decentralized wastewater treatment system designed for Rocinha, Rio De Janeiro. In:Sand:Out – by Kunaljit Singh Chadha – explores digital manufacturing of local and natural materials for bio-mass production and water harvesting. 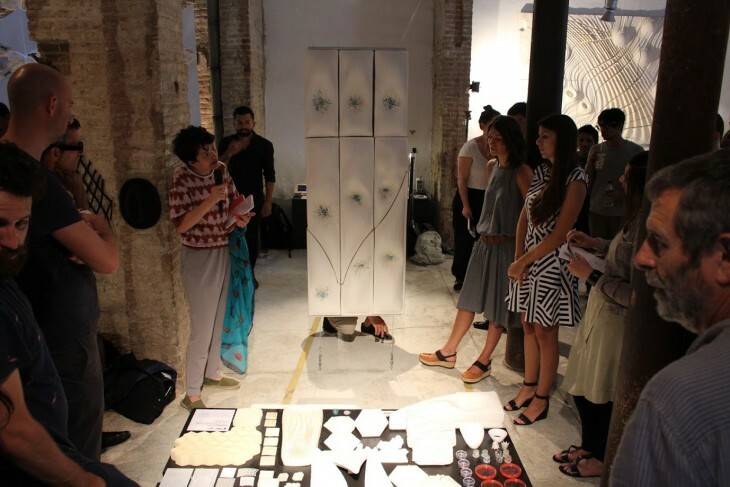 Design for Ageing Buildings – by Yessica Gabriela Mendez Sierra – is a climatically responsive tile that takes advantage of biological processes and controls its own decay. Mycocrete – by Zunabath Abdul Majid – explores Mycelium growth on concrete reinforced with coconut fibers, applied to the design of water cleaning public decks in Maldive Islands. Responsive Manifolds – by Nina Jotanovic – are clay casts able to sense environment through their Microbiome. What if a building could sweat to cool down its microclimate? EvaPorosity – by Lubna El Alayli – is an evaporative cooling system made of porous silicone within a humidity buffering base.